Cross-border mergers and acquisitions (M&As) have become common in the business world. Recent figures show that in 2006 the OECD countries witnessed the second highest level of foreign direct investment (FDI) flows and that estimates for 2007 would be close to those of 2000 — the record year for M&As (OECD, 2007). 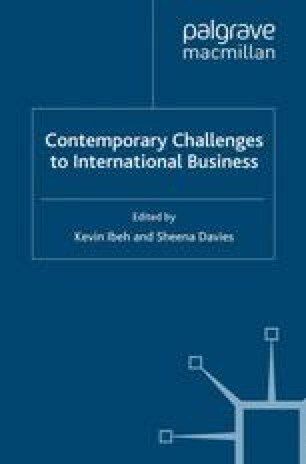 Cross-border acquisitions involve unique challenges, due to their various economic, institutional or regulatory and cultural structures (Child, Faulkner and Pitkethly, 2001). As cross-border acquisitions are challenging for managers, they provide a fruitful research arena for scholars. Many of the acquisitions made during the past decade appear to have been motivated by the need for firms to obtain critical technologies or capabilities (Ranft and Lord, 2000). Since the 1990s, acquisitions have increased dramatically in high-technology sectors (Ranft and Lord, 2002). Intangible assets such as knowledge are very important as they can even determine the success of a company, especially after mergers and acquisitions. In knowledge-intensive and innovation-driven industries, highly skilled human resources may represent one of the most valuable strategic resources in a specific company (Ranft and Lord, 2000). Nevertheless, if the primary objective of an acquisition is the acquisition of valuable knowledge, a subsequent departure of key personnel can affect the success of the acquisition (Hubbard, 1999; Ranft and Lord, 2000).